It was a one-sided love-fest at the San Francisco Democratic Party’s official endorsements for the November election on Wednesday — provided you weren’t a sitting Democrat, that is. Incumbent elected officials Mayor Ed Lee and District Attorney George Gascón (the latter of whom was, admittedly, a Republican until quite recently) were both snubbed by their own party, with progressive Supervisor John Avalos the Democrats’ top choice for mayor. City Attorney Dennis Herrera received the second place vote on the official party slate. There was no third-place endorsement, a slight for Lee as well as Board of Supervisors President David Chiu (who sits on the DCCC) and state Sen. Leland Yee. 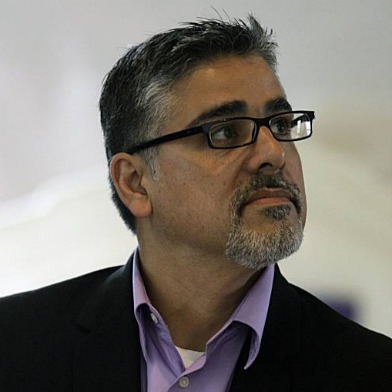 Avalos, recall, was a late entry into the race, filing papers only in April. The District 11 supervisor has spent frugally but has also struggled to raise as much campaign cash as his more-moneyed opponents. Former police commissioner David Onek received the Democratic Party’s endorsement for District Attorney, with Sharmin Bock netting the second-place endorsement. Supervisor Ross Mirkarimi received the lone endorsement for sheriff. The official party endorsements are ranked from one to three because of ranked-choice voting. Voters will be able to pick up to three candidates for local offices on their ballots in November. The DCCC consists of 12 elected members from each of San Francisco’s two state Assembly districts as well as a representative for each statewide elected official who is registered to vote in San Francisco. That means Senator Dianne Feinstein, House Minority Leader Nancy Pelosi and California Attorney General Kamala Harris all have a say in the local proceedings (as did Lt. Gov. Gavin Newsom until he moved to Marin). In order to win the endorsement, a candidate needed a majority of votes from the 32-member body, some of whom abstained from the proceedings (or, in the case of Pelosi’s rep, some of whom did not show up). Avalos won the first place nod for mayor on the second ballot, after Supervisor Eric Mar and Alix Rosenthal, both Chiu supporters, flipped for Avalos and Chiu supporter Arlo Hale Smith abstained. Lee received only two votes — from Dianne Feinstein’s proxy and from Mary Jung — and Yee received but one. Herrera cruised to the second place endorsement on the third ballot, with votes from most of the Avalos supporters. But will this hurt Ed Lee, who still has the benefit of incumbency, as well as unlimited campaign spending power? “While the Tea Party, Michelle Bachman and Rick Perry dominate the national political debate, Aaron Peskin and local party powerbrokers think the most important thing we can do is rank nine shades of blue,” Winnicker added. important,” said Corey Cook, politics professor at the University of San Francisco and local electoral expert. The DCCC was until 2008 largely a symbolic body, a organizational rubber stamp whose main goal was registering Democratic voters and ensuring high turnouts at the polls. That changed in June 2008, political watchers know, when then Board of Supervisors President Peskin engineered a takeover of the committee, kicking off then-chairman Scott Wiener, now the Castro District supervisor. Under Peskin’s leadership, progressive Democratic endorsees — Eric Mar, John Avalos, David Chiu — won contested seats in the 2008 election over more moderate opponents like Sue Lee, Ahsha Safai and Joe Alioto, respectively.